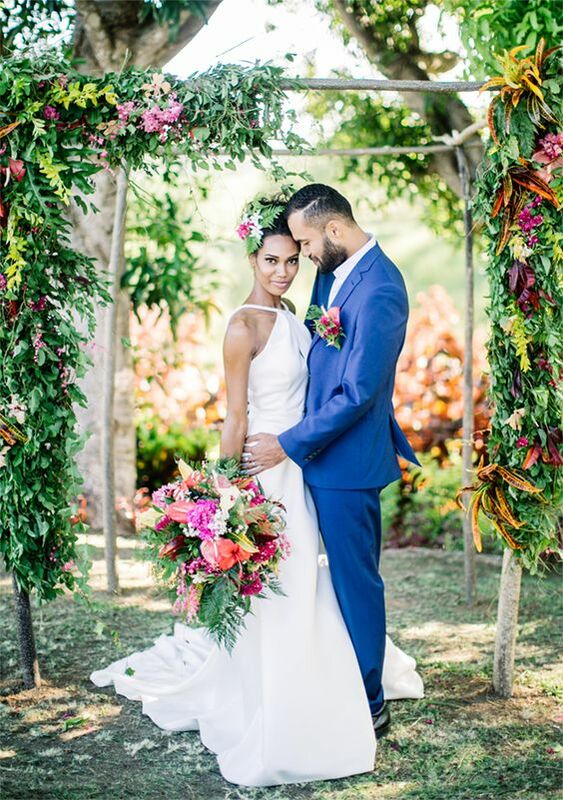 If you are about to get married in the tropics, creating your bridal look can be challenging because it’s rather hot and you need to look flawless. 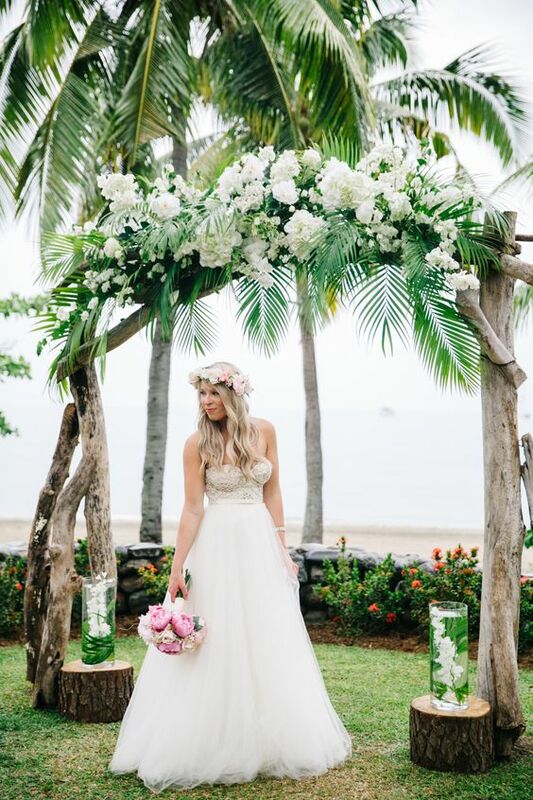 Choosing a proper tropical wedding dress is essential, it’s your key to feeling comfy and incredibly beautiful at the same time. The best fabrics for hot weather are cotton organdy, chiffon, crepe or voile over silk because they won’t make you feel too hot or sweat too much. 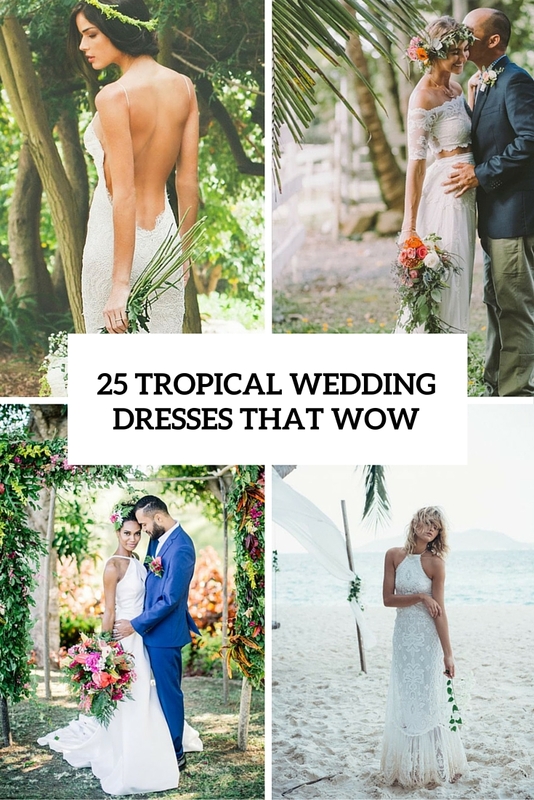 Now let’s have a look at the most popular models for hot tropical gowns. 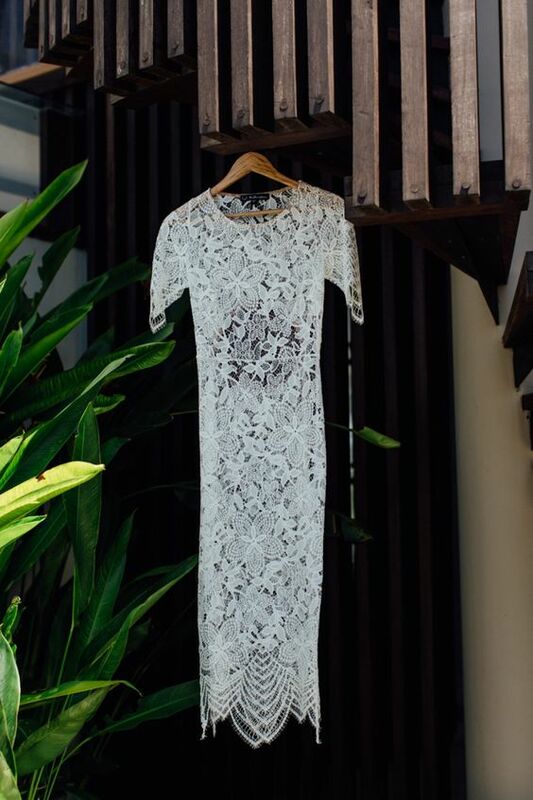 Lace gowns are the most popular ones for tropics because lace is feminine and very light. 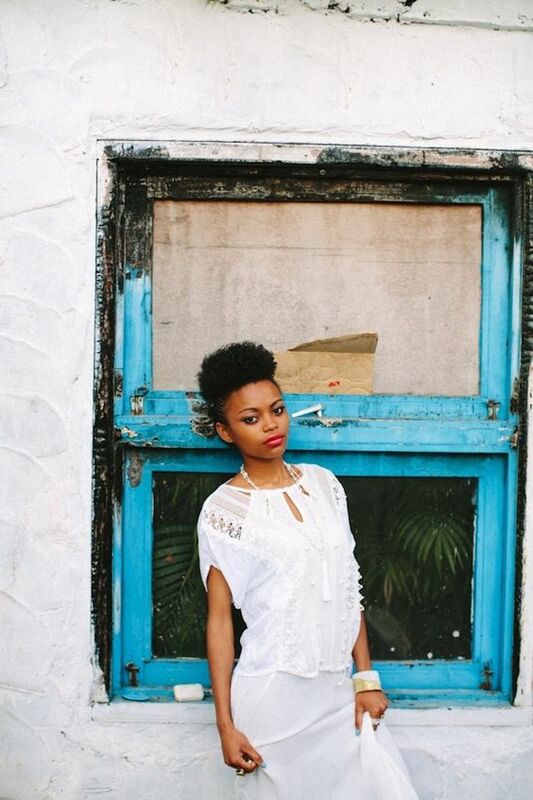 A lace dress can be modern, vintage, boho or any other that makes your heart jump with joy. 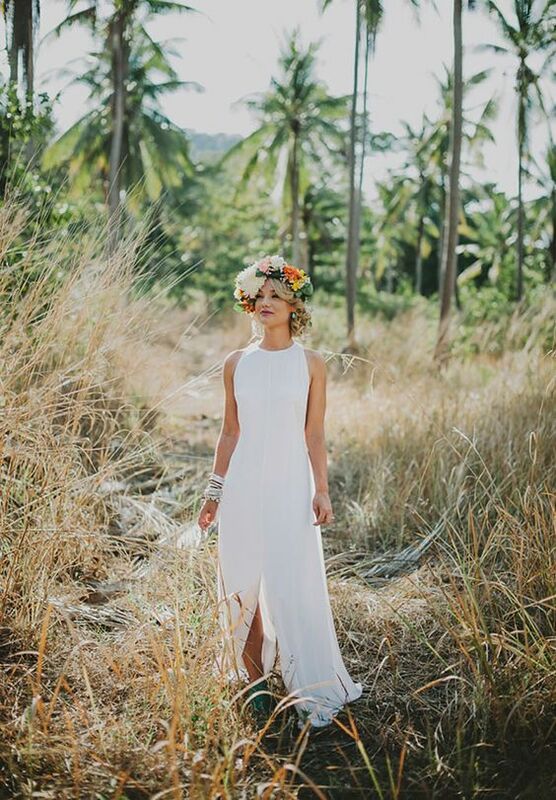 Boho chic wedding dresses are very flowy and airy, try those with open back and fringe. 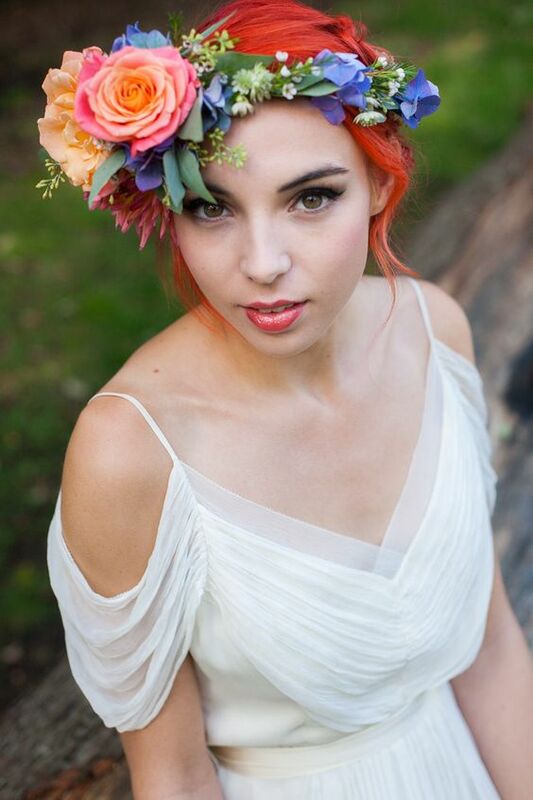 Add a beautiful tropical flower crown and look flawless! A halter neckline is very comfy during heat because even if you sweat, the dress won’t move anywhere like a strapless one. Choose a minimalist halter neckline dress of some plain comfy fabric and add bold touches to your makeup and floral crown to create a contrast. 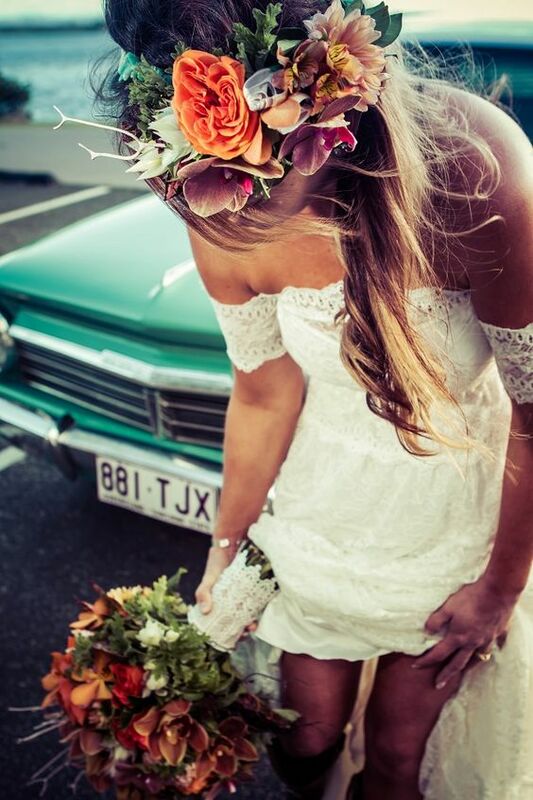 Don't be afraid of a simple halter neckline white dress, you can add a bold bouquet, floral crown and makeup. Open back or backless gowns are a nice choice for any hot location, you won’t feel boiling in it and will make a statement with your back. The best idea here is perhaps a spaghetti strap wedding gown, which is comfy in wearing and looks very girlish and sweet. 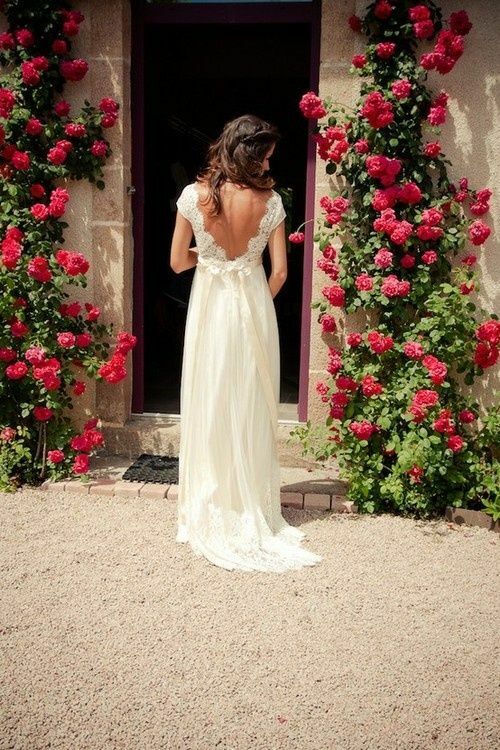 Open back dresses with spaghetti straps are perfect for any summer wedding if you foresee hot weather. 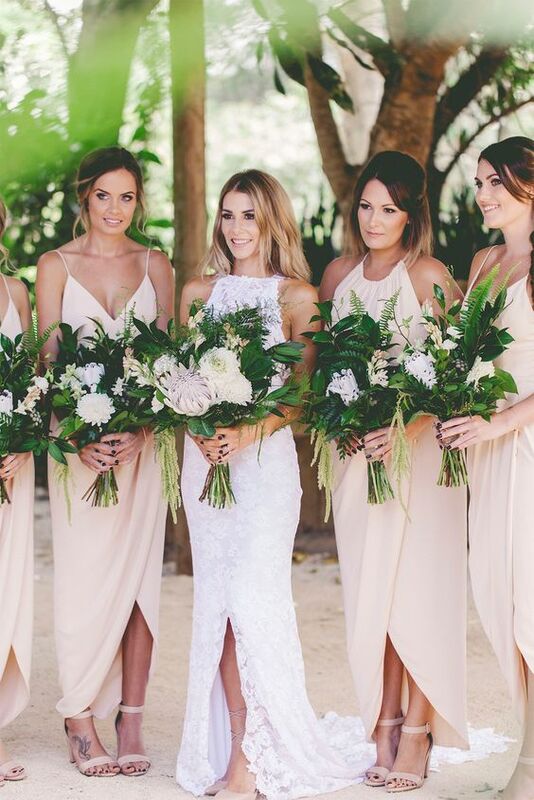 Bridal separates are a huge trend, they are perfect for any fashion-forward bride. 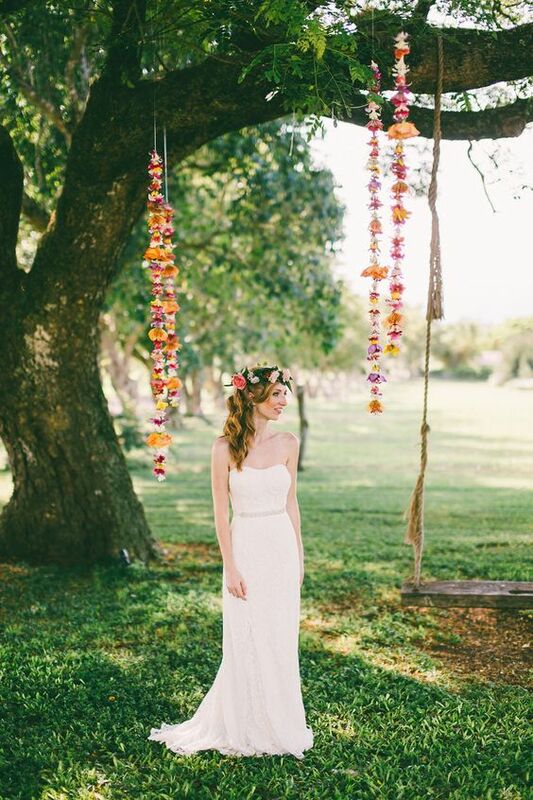 Most of them are lacy and flowy, boho-inspired ones, so dare to choose such separates for your boho chic nuptials. 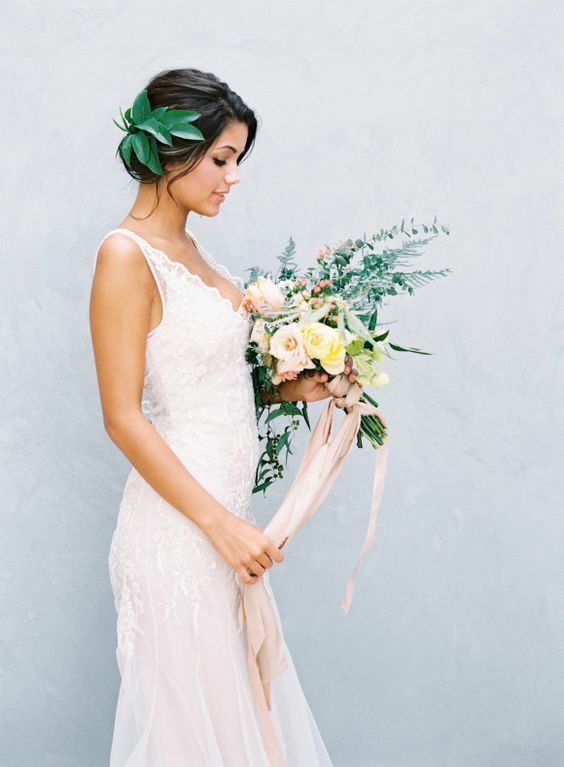 Off the shoulder wedding dresses are another huge trend right now, and you can mix these two rocking an off the shoulder bridal separate, you’ll look very trendy and won’t feel hot. Off the shoulder bridal separates are two hot trends in one: you get a separate and off the shoulder piece, this is very fashion-forward. 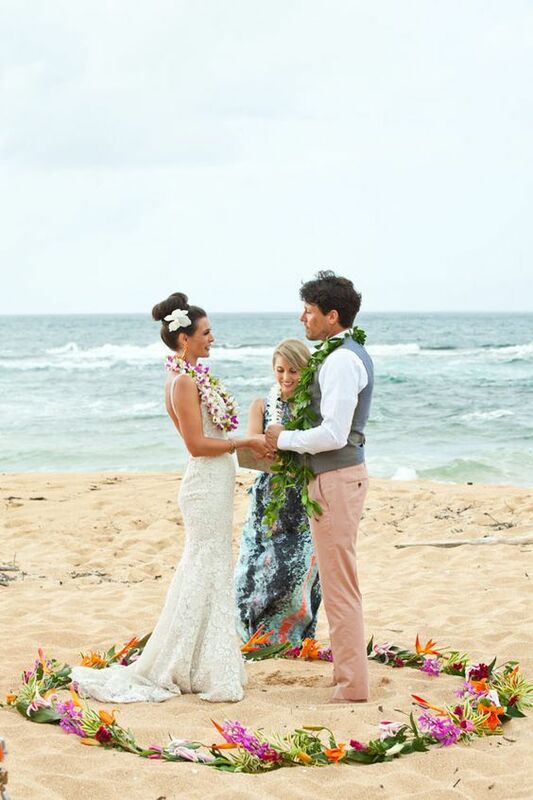 Look at the tropical brides below and get inspired! 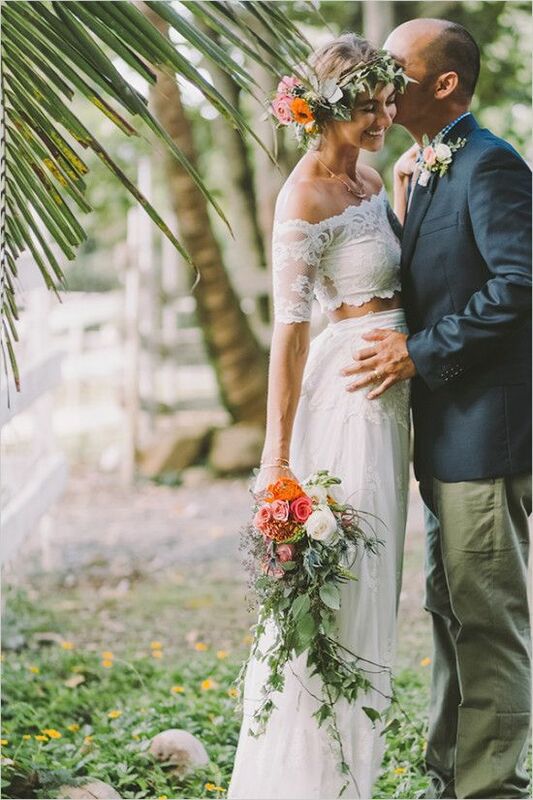 This wedding dress with a plunging neckline is amazing not to feel hot and boho chic flavor looks great in the tropics.